The system delivers all the benefits of a fully customized system, including a thermostat, head shower and hand shower. 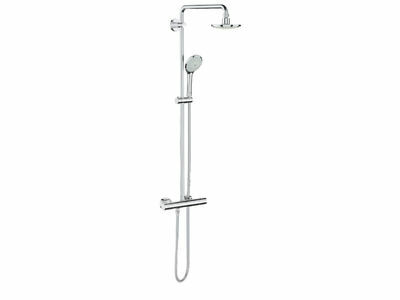 The 6.3in head shower can be swiveled to the optimum position and is supplemented by the award-winning Euphoria hand shower. Both showers present our luxurious Rain spray, identified by extensive consumer research as the most used and appreciated of all available spray patterns.